If you're not in the trucking industry, you probably don't think much about parking big rigs. However, for drivers, taking breaks in proper parking locations can be the most frustrating part of the job. With stringent hours of service rules, finding a safe location and factoring in time to park is a big challenge. Safe truck parking is alarmingly limited in the majority of the United States. The DOT's multiyear Jason’s Law study found 37 states have a shortage of truck parking. When you look along major freight corridors and densely populated areas, the problem intensifies. The National Coalition on Truck Parking held four meetings in 2016. Industry insiders look forward to the final report and recommendations. Hopefully that's not the end of this movement. If the coalition stays active and maintains an open conversation, real solutions can emerge about this ongoing problem that ultimately affects everyone in America. After all, we all benefit when the goods in those trucks are delivered safely. Among conversations at the local and national levels, there are plenty of discussions on potential solutions to this growing problem. One that is already in use (and continues to be developed) is technology. Roadbreakers is one example. This app was made by a trucker to help other truckers find safe, convenient overnight parking. Users can post comments and submit new locations so the database of information is continuously evolving and growing. SmartPark USA, developed by the Federal Motor Carrier Safety Administration, is another example. Truckers can visit the website or use the app to locate parking and see if space is available. Of course, to find a lasting solution to the truck parking problem, we must look beyond the traditional rest area/truck stop concepts. What's more, retail spots like Wal-Mart are increasingly no longer an option for many drivers who see them as too risky to use. One option would be for industrial parks to set aside space adjacent to or in between active areas for truck parking. Just two spots could have a dramatic impact on the shippers and receivers who come and go as they make their way through their routes. This concept could even expand into some type of cooperative effort where each shipper/receiver pays for parking access; perhaps there could be other incentives and tax credits available too. Either way, since parking in industrial parks would open up space at truck stops that would otherwise have been used if these drivers were on the road, everyone benefits. Finally, as the new administration takes office, truckers are paying close attention to President Trump's plans for America's infrastructure. During his campaign he touted a multitude of improvements that would dramatically impact truckers' futures. Truck parking should be a key component in looking at transportation efficiency, which ultimately influences the country's entire economic well-being. 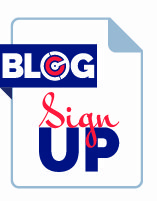 Read more about current topics and what is going on in the logistics industry by signing up on our blog list here.